To relive the area’s rich history, start with a visit to Beaufort History Museum at the historic Arsenal (1798) in downtown Beaufort! One of our knowledgeable Docents can guide you through 450 years of Beaufort’s past, recounting stories about this place that shaped America. We offer an ongoing program to train Volunteer Docents to lead tours and serve as community liaisons. The training curriculum covers all aspects of history relating to Beaufort. Visit our Volunteer page to learn more. Before St. Augustine, Jamestown and Plymouth, nearby Parris Island was the site of Santa Elena founded by the Spanish—the first major settlement and colonial capital in what is now the United States. The Revolutionary War battle of Grays Hill was fought just outside town, and Beaufort District plantation owner Thomas Heyward, Jr. signed the Declaration of Independence. The seeds of the Civil War were planted in Beaufort, when prominent residents secretly met to plan secession from the Union in a Craven Street home, now famously known as “Secession House.” In November 1861 during the early days of the Civil War, Beaufort’s white residents hastily abandoned their homes and fled town as the Union forces sailed into Port Royal Sound. For the rest of the war Union troops made Beaufort their headquarters, transforming many of the antebellum mansions into hospitals for the wounded. With the Civil War still raging, Reconstruction began in Beaufort where 10,000 slaves were liberated during the early months of the war. Northern missionaries educated the newly freed men, women and children at schools like Penn School as part of the Port Royal Experiment. 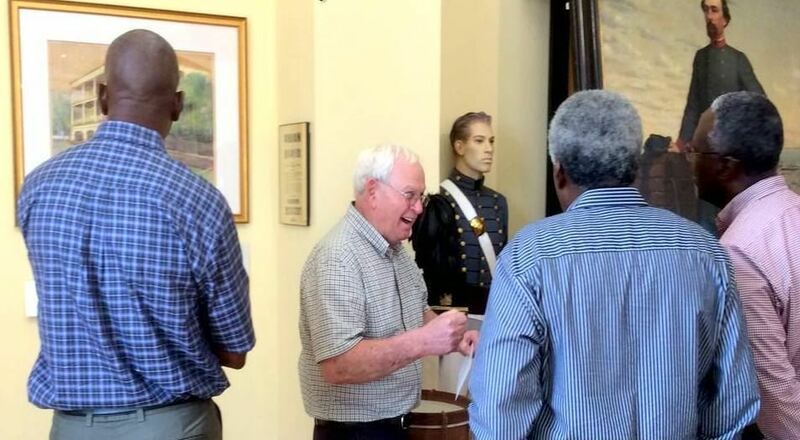 You’ll hear these stories and learn much more about how Beaufort changed the course of America’s history, when you step back in time at Beaufort History Museum!